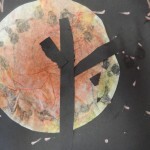 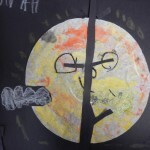 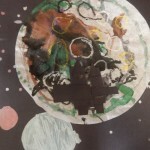 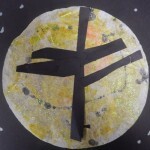 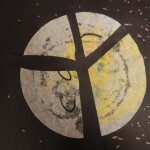 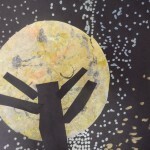 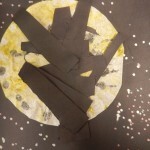 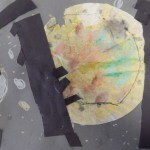 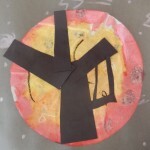 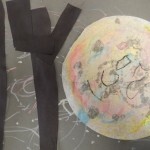 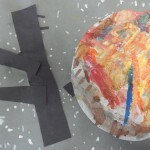 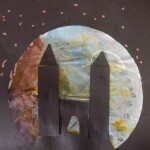 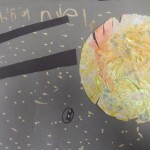 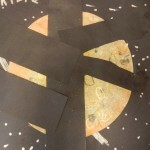 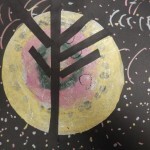 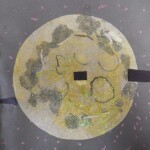 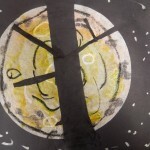 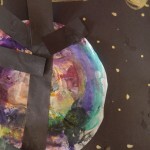 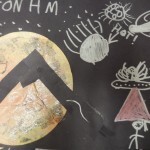 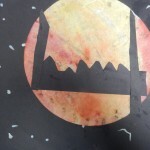 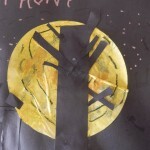 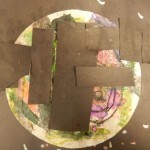 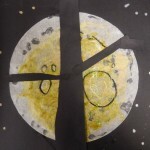 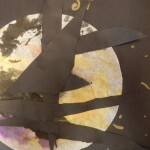 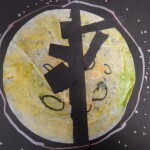 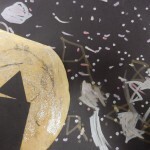 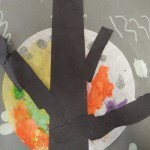 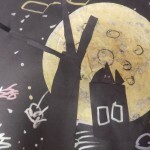 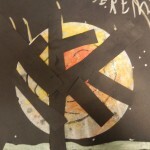 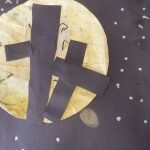 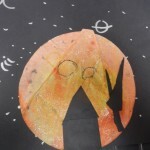 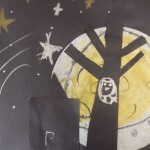 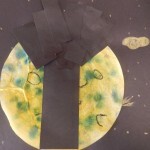 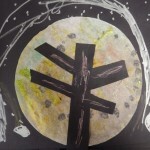 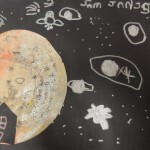 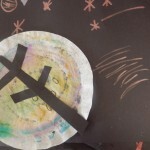 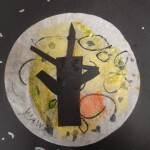 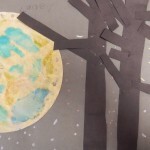 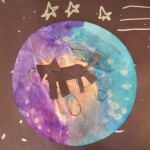 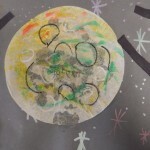 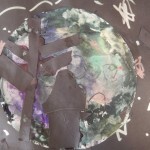 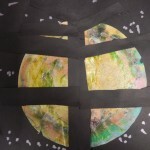 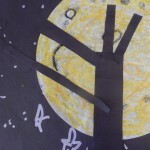 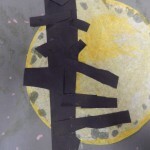 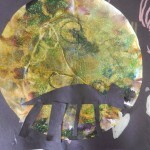 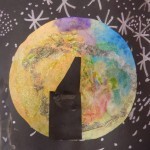 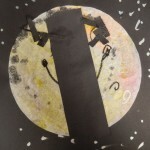 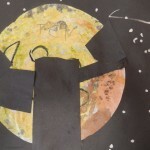 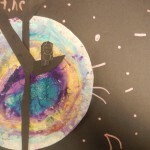 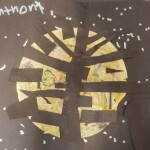 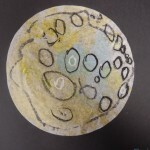 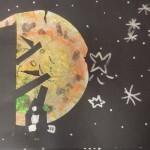 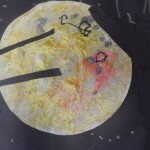 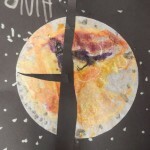 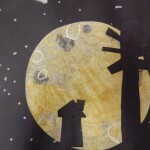 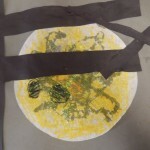 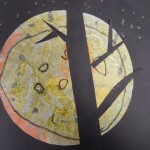 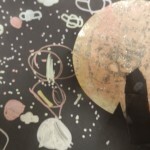 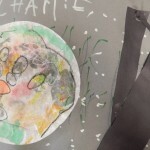 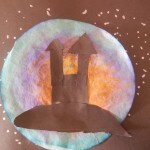 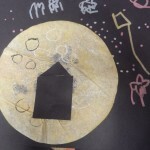 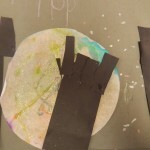 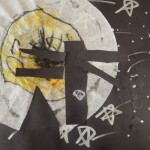 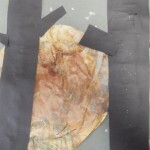 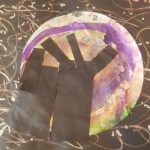 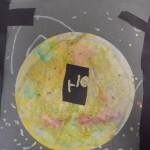 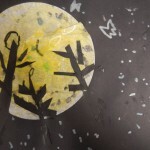 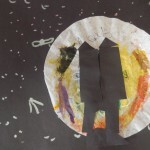 Kindergartners had a lot of fun trying to create their own supermoon from oil pastel, paint, and a coffee filter. 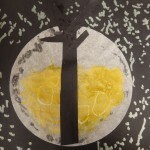 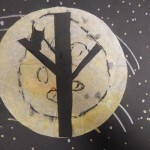 We read the book Yellow Moon, Apple Moon by Pamela Porter, and learned about silhouettes in the process. 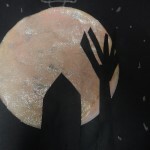 Silhouette happen when the sun or moon is behind an object, leaving it recognizable only by its shape.